Don’t forget to stretch! This photo is vintage. My oldest was helping me touch my toe! 1. Reduces risk of injury 2. Enhances muscle performance (allowing you to get a better workout in the next time you workout because your muscles aren’t tight) 3. improves your posture and prevents back pain 4. Helps keep joints healthy 5. Provides physical and mental relaxation I took it easy today and plan to stretch more tonight. 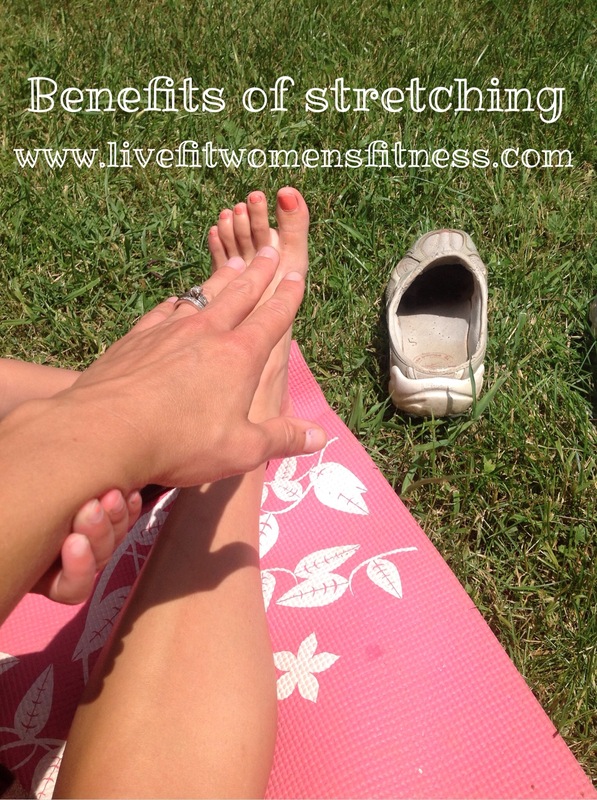 Circuiting through my stretches 3-4x holding each stretch for 15-20 seconds. I always listen to my body and rearrange my running schedule to allow my body more rest if I feel it needs it. I often tell my clients this. I swapped days and will be doing my repeat day tomorrow. Hopefully fingers crossed my hips and IT band will feel better after being more intentional and consistent with my stretches! 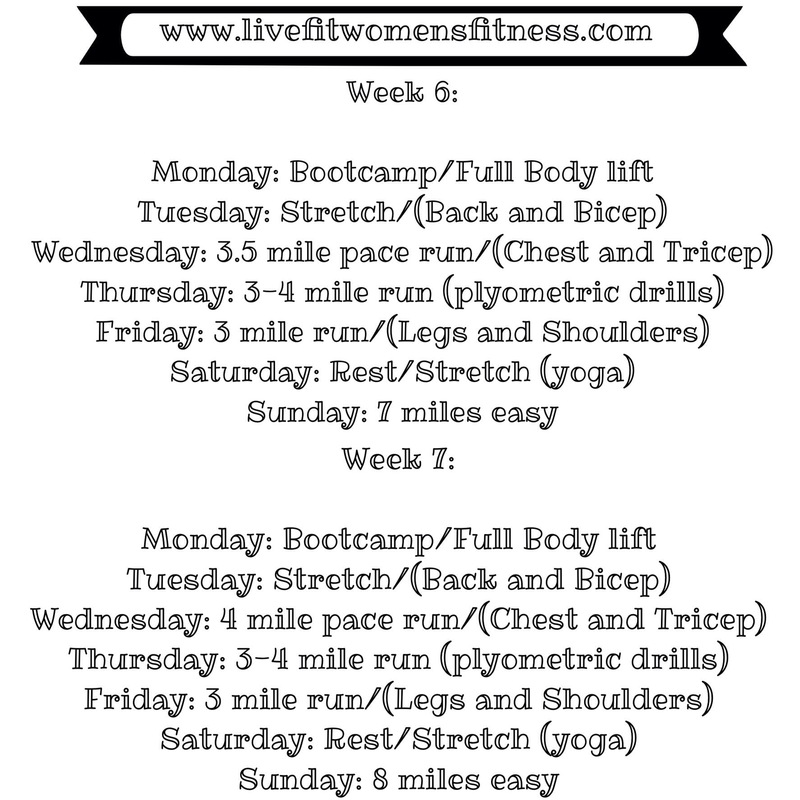 Here are weeks 6-7 training plans: Are you training for any race this spring? Comment below on how training is going!? I really need to register for my race!! 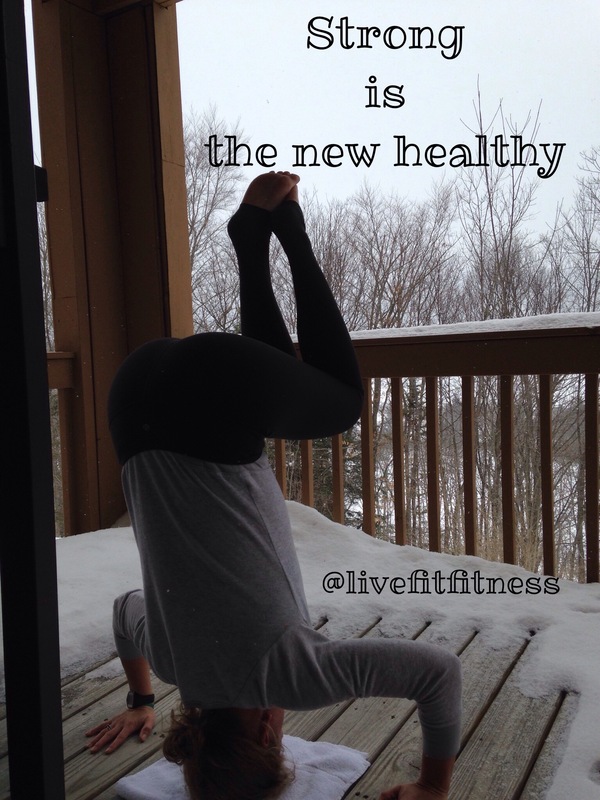 Blessings, Happy Running If you are looking for accountability, help with your fitness goals or a weight training program tailored to your needs lets connect! 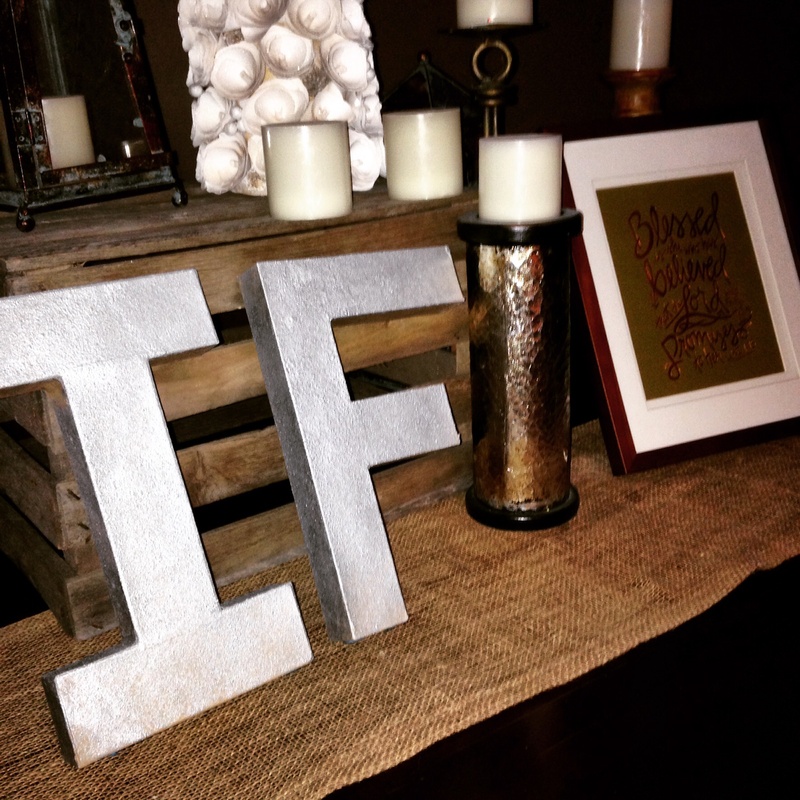 The IF means, What IF God is real… then we need to start living like it. I was so incredibly encouraged by these women. They are gathering, equipping and encouraging us as women to live out our purpose in Christ. Over the last almost nine months I have been going thru an up and down battle and grieving the loss of my daughter. You can read Angelina’s story here: https://livefitwomensfitness.com/our-down-syndrome-journey/ I can see a small glimmer of hope and a light on the horizon on some days. While others I shrink back, pull the covers over my head and just don’t want to face the day. 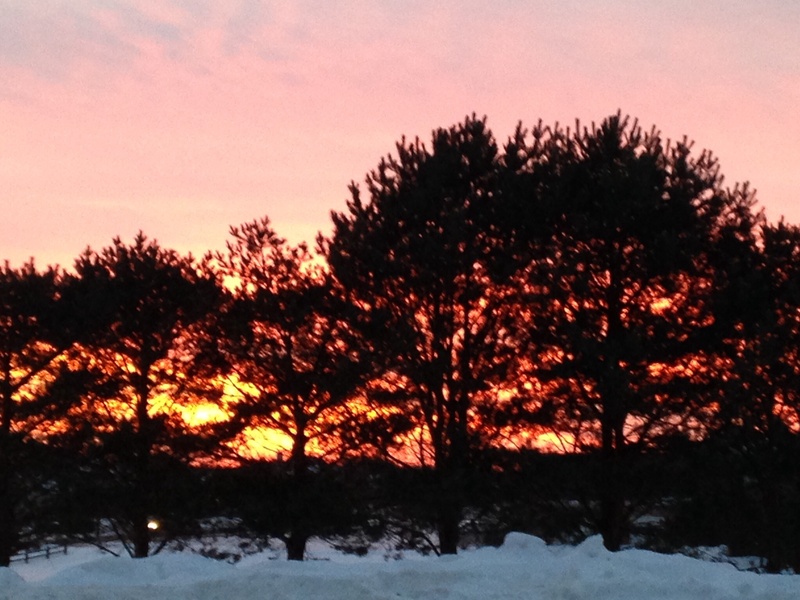 Isn’t it funny how God he always shows up. He never has failed me and the very first opening segment at the IF Gathering was about a women who lost her two sons in a horrific tornado in Arkansas. How is she breathing, how is she sharing, how is she facing each day? I kept thinking to myself? Tears just flew of my quivering chin as I sat and listened to her journey through grief and loss. She is right, Angelina is in the arms of the one person that loves her more then our family. I can grasp this, but am I ok with it yet? Maybe…..it’s taking time and on some days time means healing while on other’s I have such an intense longing to be with my sweet baby. I sat and prayed so intently, worshiping, and learning from these women. I was asking God how do you want me to move forward. I’m not ready to let go, I’m not ready to move on. I felt him say, “GO, BE, Be Still,Trust me, and RUN Michelle.” Run Your race. I have been growing weary because I haven’t been running to HIM, I been running this race by merely keep HIM in mind and reading his word. So.. Thats what I’m going to do each day I am going to Run to his arms. I am going to look to him first and stop trying to handle this burden of grief on my own hands. I am going to trust, be who he has created me to be, and be still as I allow him to work powerfully in my life. I can’t do this on my own and without him I would be bare lying on the floor without hope. I have really felt God calling me to just run physically and spiritually. I was a runner throughout college and I coached track. I haven’t trained seriously for awhile and for me it’s a time where I connect with God. My run is when I unplug from reality listen to worship music (somedays christian rap radio:0) and connect with God. I pray, thank him, ask for forgiveness, and listen. I haven’t done this in sometime and I am ready to have that back. Writing has also been a very therapeutic way to help as I process through sorrow and grief. 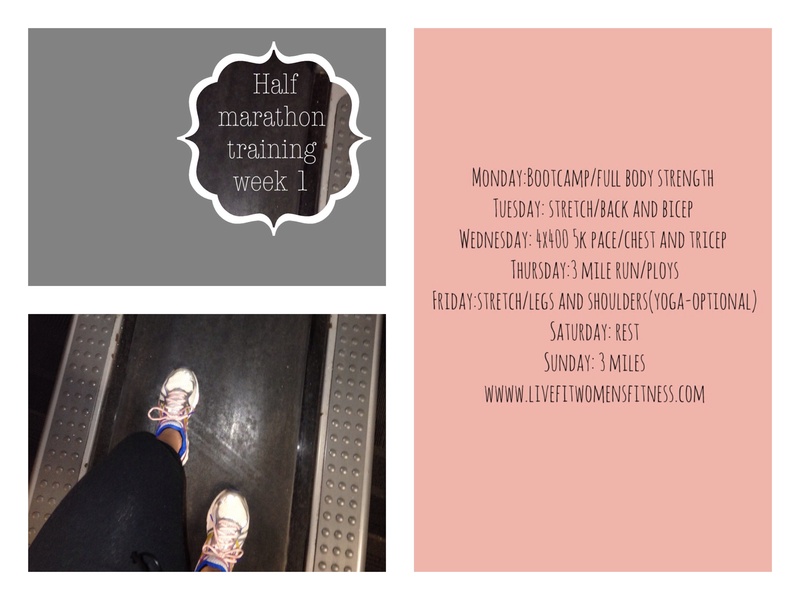 Each week I am going to post my weekly half marathon workouts, encouragement, tips and scripture verses. I hope you can journey right alongside with me. I am ready to Run this race well and to him. I have a long way to go as I continue to journey through grief but the best I can do is continue to move forward, to run and to share how great God is. 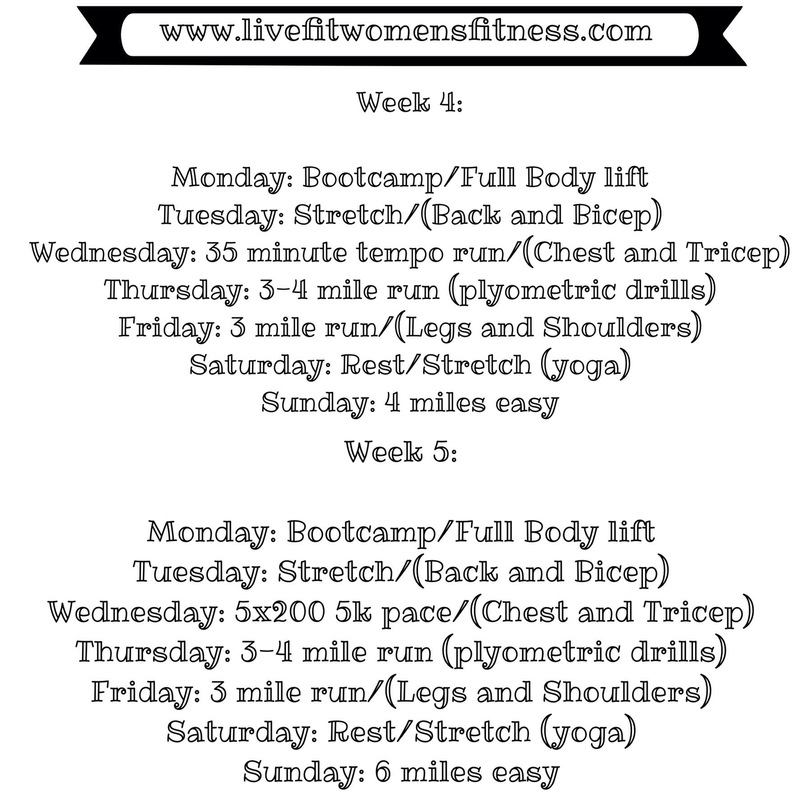 Today I will share my first week of training with you and will be back to update this series weekly on Wednesday or Thursday. 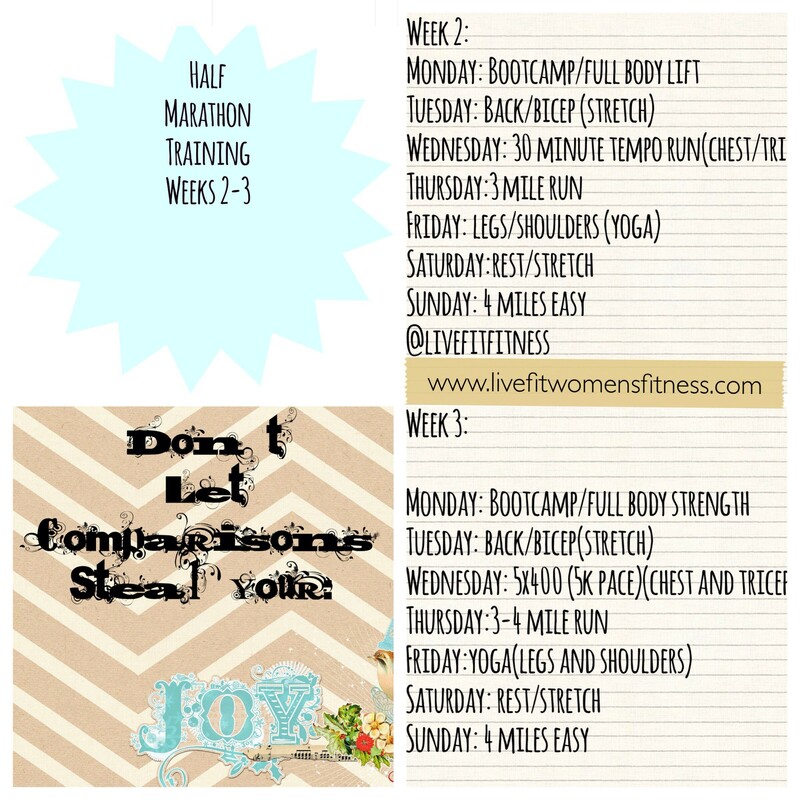 I am a seasoned runner and this is an intermediate to advanced training plan. You ask why bootcamp and full body strength on monday? Well I teach a bootcamp/full body strength class on mondays and I have to figure this into my training as I workout with my classes. Your training may look different but please share this journey with us as we can encourage hold accountable and run this race together both in the physical and spiritual. (maybe you are training for a 5k or just starting to workout) Each of our races are unique to our purpose in Christ Jesus. Blessings and I’m excited to dedicate this time to God and share this journey with you. Week one starts on Monday, Let’s do this!